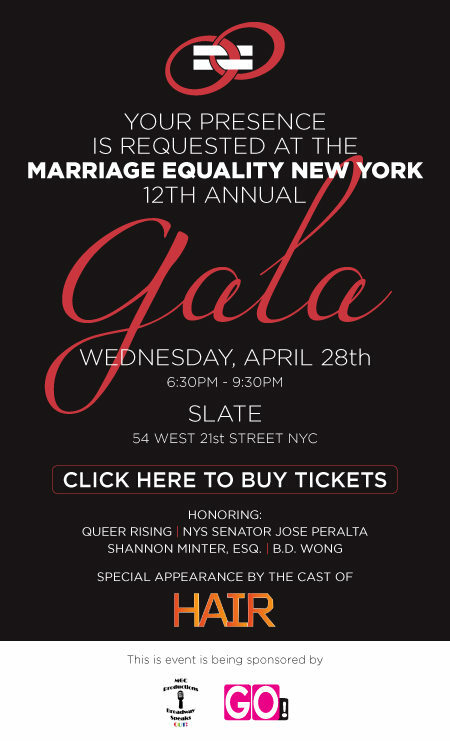 The theatre community will be well represented at the upcoming 12th Annual Marriage Equality New York Gala. In addition to honoree B.D. Wong, the evening will feature Leslie Jordan (currently appearing in My Trip Down the Pink Carpet), Reichen Lehmkuhl (who will be appearing in the new production of My Big Gay Italian Wedding), Diana Digarmo and the cast of Hair, Kate Shindel (formerly in Legally Blonde on Broadway), Tony Award nominee Terri White, Marty Thomas, Celina Carvajal, Jesse Archer, Meredith Patterson and Shonn Wiley. 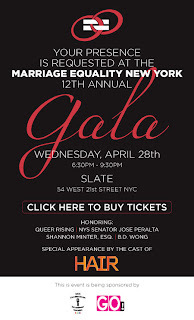 Other honorees at the evening's event will be Queer Rising, NYS Senator Jose Peralta, and Shannon Minter, Esq.